Since Apple no longer provides sales stats, these "guesses" by this company (and others like it) IMHO are worthless. Which makes posting the article just as worthless., These people are wrong more than they are right and it is not news or newsworthy..
Down 3.1M in Q4 2018 vs full year down 2.5M. Whole year down less than one quarter. What a math ? It just means that sales in China were actually UP before the last quarter (presumably by 0.6 million units). As much effort as Apple tries to make in pushing sales in China, its efforts are repeated being undermined by those in the Whitehouse. Can't win when the government isn't behind you, just another collateral damage of Trump's trade and political policies. I think banning Huawei devices in the USA has done significant damage too, can't imagine this went down well with the Chinese people, and made them think is it safe to use apple devices, or does that aid the American government spying on us. Arresting the Huawei CFO in Canada has had the effect of Chinese companies either giving away or heavily subsidising Huawei phones for employees. There was a country-wide boycott of Apple iPhones starting the second week of December in China after the Meng’s detention in Vancouver in the first week of December. Feelings were very strong in China. Even in Hong Kong, many people bought Huawei phones rather than iPhones in protest of the detention. This has not been covered much, if at all, by the American press. 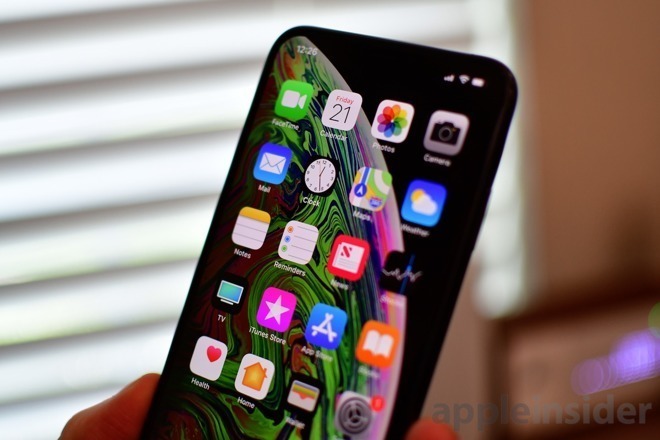 The timing of the event was very unfortunate and, in my opinion, was largely responsible for the reduction in sales because iPhone sales were actually quite strong going into November. If you do the math, this estimate, if correct, simply supports Tim Cook’s statement when he announced a drop in guidance. He said it was due primarily to China and it looks that’s true. In my opinion, this is not bad news; it means what else he said is also probably true: that other areas are doing extremely well. And there was a report just yesterday about how well the XR is selling. How many companies earn $84 billion in one quarter, have enormous cash balances and still prodice some of the most innivative products in the world. As Steve Jobs often said, its not how many we sell, but how good they are. I believe we will all be surprised when Apple reports next week. Even with a revenue shortfall, its eps is going to be fabulous, and its accomplishments in the wearables and service areas will be fantastic. When it comes to Apple, I’m long, as eevry other wise investor should be. Or, we could always follow the pundits, take a short term perpective, and gamble away our money in companies that will never even come close on the fundamentals. A respected analyst, Kate Huberty, said it today: buy Apple now, before they reort out next week. Not to sound like a broken record, but i just wish they would finally announce a service bundle for music, tv, movies, books, i Cloud, etc. that will the icing on the cake. It's sad how everything becomes Apple's fault without Apple having any involvement.